I love a good primer and I can't put my make-up on without one. Whether it's a primer that will fill in my pores or help my make-up last all day, I can't go without one. 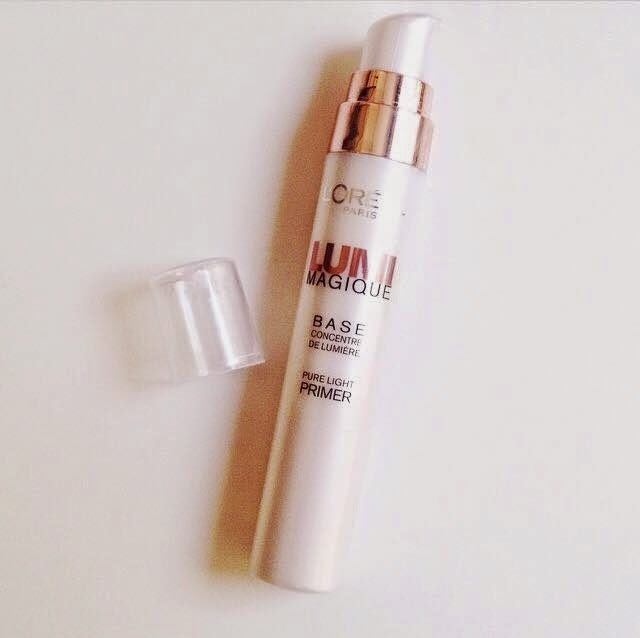 Recently I have been using L'Oreal's Lumi Magique primer everyday and loving it. It is an illuminating primer which helps liven up your complexion and give a lit from within glow. The Lumi Magique primer can be used in three different ways; under foundation to work as a primer, mixed in with foundation to make it more dewy and lastly as a cream highlight over foundation. I mostly use it as a primer underneath my foundation for a lit from within glow, I also find that it does help my make-up stay on a little bit longer and prevents make-up from sitting in my pores. Sometimes I use it as a cream highlight as there is no shimmer, only a beautiful sheen. I cannot fault this product in anyway, L'Oreal have done a great job of this product. What are your favourite illuminating primers? I've been looking for a new primer! I will definitely be having a try of this! Great post!